Rev. Amhurst Brown Jr. was born November 2, 1941 in Jackson, MS to the late Mr. Amhurst and Ollie Mae Kendrick Brown. He was the oldest of their four sons. He transitioned to his heavenly home on Tuesday, May 29, 2018. At an early age he accepted Christ at United Christian Church in Jackson, MS. He later joined Magnolia Heights M. B. Church under the leadership of Rev. S.E. Alexander. He was an active member until his health failed. He served as Sunday School Teacher and in other capacities. He attended Lanier High School in Jackson, MS where he played football and loved art class. He received numerous awards for his art work. He graduated from Lanier High School in 1962. Amhurst studied Art at Tougaloo College. Amhurst, a 33o mason, knocked on the doors of M. W. King Hiram Grand Lodge A. F. & A. M. State of MS wanting to become a member of the Masonic Order, was granted membership. He became a member and for 52 years he served faithfully. During his tenure he was awarded a Lifetime Membership status. Served as Worshipful Master of St. John Lodge #195 of Jackson, MS. Amhurst’s membership spanned across other affiliated bodies, Jackson Royal Chapter #1, Mt. Calvary Knights Templar #4, Solomon Grand Consistory #1 and Jerusalem Shire Temple #1 all of Jackson, MS. Amhurst was a Chef that loved cooking delicious foods and for people to eat and compliment his dishes. He worked at various restaurants, schools and hospitals until he retired. 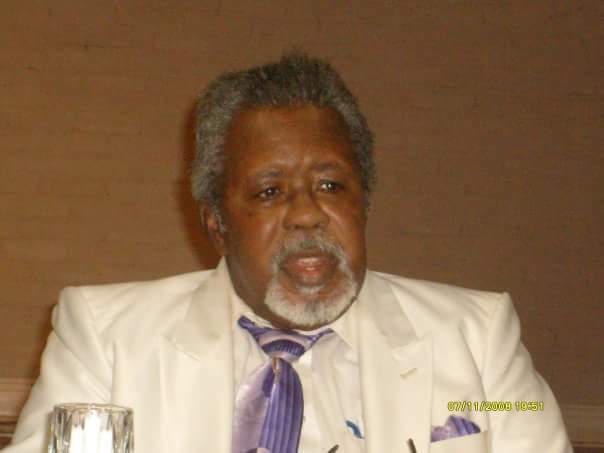 Amhurst was preceded in death by his wife Rose Brown, daughters Paula L. Brown and Tiffany R. Brown, brother Benjamin Brown, sisters Ella Mae Brown and Lula Mae Meadley. Amhurst leaves to cherish his memories, son Amhurst (Bonita) Brown III of Milwaukee, WI, daughter Semeda (Carl) Howard of Jackson, MS, two brothers Arthur (Christine) Brown and Billie (Jossie) Brown of Jackson, MS, one sister Anna Butler of Byram, MS, six grandchildren, nine great-grandchildren and a host of nephews, nieces, other relatives and friends.